Reva University is a private university located in Bangalore. 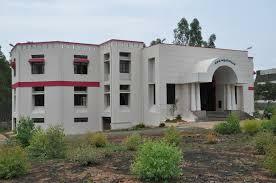 The university was set up in 2012 by Rukmini Educational Charitable Trust. It is spread over 45 acres of land. The university has a focuses on holistic development of the students. The university offers total 50 courses at PG, and UG level in engineering and technology, management, law, commerce, arts and architecture. The university follows Choice Based Credit System which allows students to take up the subjects of their choice. The students can gather more credits and get additional certificate and acquire new skills in the process. The university has over 9000 studying in it across its 3 campuses. The university conducts its own entrance test (REVA University Entrance Test) for admission into Btech programs. The university focuses on continuous assessment and semester end exams for evaluating the students. Each subject has 100 marks. The university also offers scholarship to deserving students. Along with this candidates also need to include application fee in form of demand draft drawn in favor of “REVA UNIVERSITY” payable at Bengaluru. The application fee is INR 1000 for Indian / SAARC Nationals/ Rs. 2000 for NRI/ USD 50 for foreign nationals. Admission criteria to the university vary across courses. For some courses it conducts admission test while for others it is on the basis of the marks cored in the last qualifying exam. 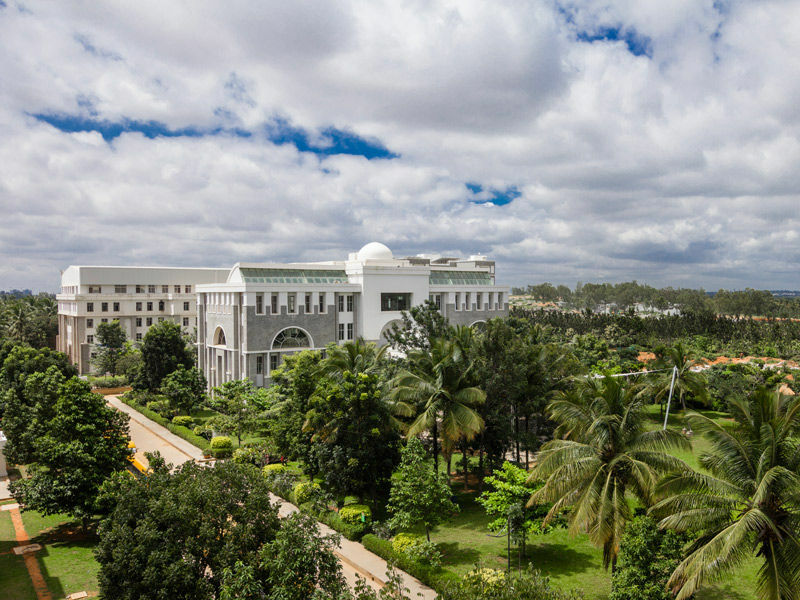 A modern University with state-of-art infrastructure and built on an sprawling 45 acres of green land, located in Bengaluru. 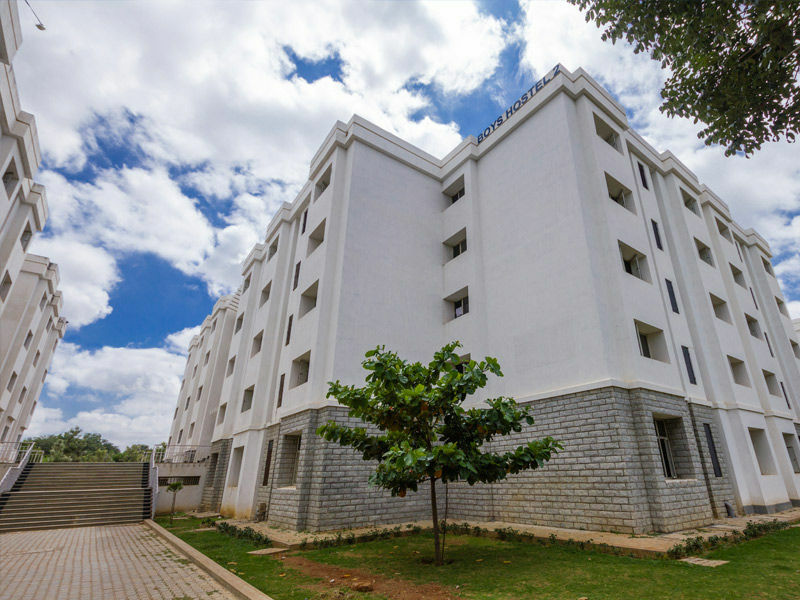 The University has aesthetically built hostels for boys, girls and guest houses. The air conditioned central library with a seating capacity of 800 and 32,000 books, journals and 3000 plus e-books titles, 1800 plus e-journals and magazines apart from resource access to NPTEL e-Vidya media streaming system. 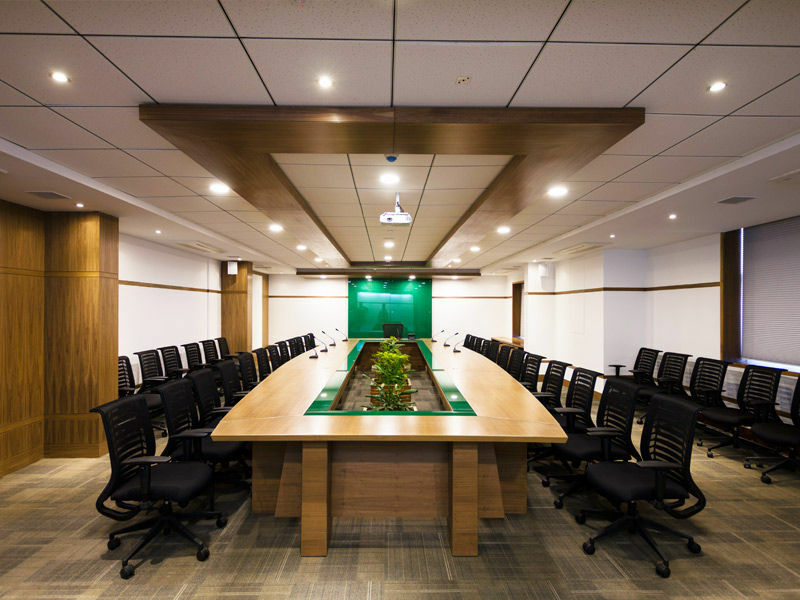 The academic and support facilities comprise of digital classrooms, laboratories, auditorium and seminar halls. 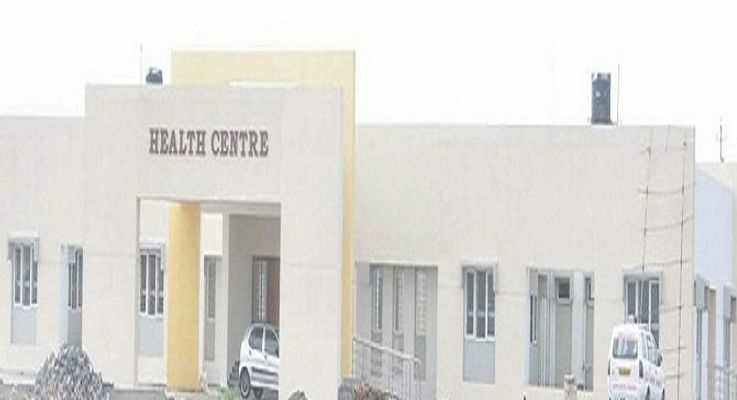 The health care centre has a full time resident doctor and paramedical staff. The food court with a variety of choices, a campus brand store, open-air theatre, green park, student clubs and counselling centres. Indoor and outdoor sports that are gymnasium, badminton, table tennis, volleyball, basketball, football, cricket etc. The University transport facilitates students, staff and faculty members by operating a fleet of buses to and from various points in the city. The University is one the best in the city for studying engineering . It competes neck to neck with the top colleges in the city. The college is known for its placement, college life and mess food. The admission into the college is based on the rank in the Karnataka Common Entrance Test (KCET). The process of admission is offline. I had scored around 20k rank and go admitted through spot counseling. The fee for the B.tech course is around 1 lakh. This does not include the hostel and transportation fee. For that the students needs to another 1 lakh. Top ranking students are also offered some fee concessions. The placement drives starts from the end of the 3rd year. The average package ranges from Rs 5-7 lakhs. Top recruiting companies include dell, divyashree group, hcl, amazon, flipart, wipro and a lot more. A lot of students are hired and only few who do not score good marks are left behind. The hostel provides a lot of facilities. The rooms are very clean and the food is tasty and hygienic. A lot of students can be accommodated in the hostel. The mess is not the same for girls and boys. Students get 3 course meal along with snacks. The alumni of the college is very helpful. There were always available for us in case we had any issues and I am very grateful to them for helping me out in avarey situation for making my college years stressfree and fun. Most of the college alumni have phd’s in their respective field. Tough they are also some faculties who are not that good. Most of them are very friendly and supportive. The college campus is great. Students also get a lot exposure in various extracurricular activities. The campus is also surrounded by greenery and thus have a pleasant aura. There is a special focus towards sports like football, basketball, cricket etc. There is no discrimination on any basis. Ragging is also ban. Reva has a big campus and hence we get a luxury of celebrating all the important festivals like Dussera, Diwali, Christmas and Onam. The college has its own fest called REVAMP which is conducted every year. We also cebrate freshers day, ethnic day, and many other such events. The college also ha s sports and students are encouraged to participate in it. The university follows the semester system. There are internal and external which total constitute 100 marks. Students need to pass in both of them. There are three internal and the marks of best 2 are considered. The exam season is a bit tiring but of you study a bit regularly its not that big of an issue. The college does not have any specific process for internships. But they do help stundets if they want to take up internship in MNCs, or govt sector. It will be provided in around the 7th semester. I am not very sure of the stipend amount as I did not go for any internship. The college offers scholarships to students who are good in studies as well as those who are not financially strong. 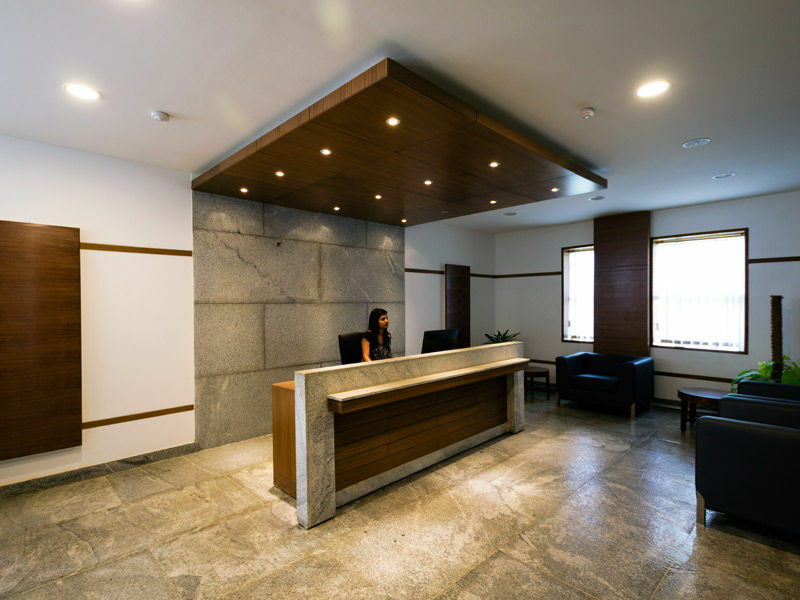 A lot facility can also be availed from the Karnataka bank. The best part of the college is the campus and the area around. It is full of greenery. The university gives equal importance to academics as well as the extr ordinary activities. I don’t think any major change is required through the college is far from the city and the transporation can be an issue sometimes. For the bcom program I didn’t had to give any entrance test. The admission is direct based on class 12th score. There is no online process and the candidate has to visit the campus and take the admission. I scored around 83% and got admission into the hone program. The university charges around Rs 80k every year. The fee is a bit expensive but considering the reputation of the college its ok. The placement for the our program is ok around 75% students get placed. Though most of the students have higher education plans like mba or m.com so they don’t take the placement. The placement is 3 lakhs and upwards. Also, to be placed students need to have a good score and the required skills. I was not a hosteller so I don’t know much about the hostel. But the university provides hostel and my friends used to stay there. The fee for the hostel is around 1 lakh per year. The mess food is also ok is what I have heard from the. One can also for nearby apartments or pg’s. Students get to interact with the alumni. They tell us a lot about the industry and the related things. All the teachers are very qualified and supportive. All of them have masters and research degrees in commerce. They help us a lot and motivate us to reach our goals. The college provides a lot of scope for extracurricular activities. Studnets get to showcase their talents like in dance, music, drama etc. The faculty is also great. The ration btw girls and boys is almost the same. B.com being a descent easy course the exams are comparatively easy. The management makes sure the exams are conducted on time and students need to have the required attendance to sit for the exams. There is not much stress if you regularly study. The college does not provide any internship though if students want they can go ahead and do it. I did my internship and it was very helpful; to lean the practical things which are taught in the class. There are also projects and excursion trips to provide the required practical knowledge. I don’t have much knowledge about the loans but I think students who cannot pay the fee can contact the management and ask for a loan. Yes, scholarship are provided to students who are very bright. If you have more than 85-90% in your class 12, you can get scholarship. Also, there are some state govt schemes which the candidate can avail. The college is overall good. I had a great time studying here. Tough being a private college there are a lot of miscellaneous fee you need to pay other than your tuition fee. My admission was through the CET exam and I got this college through counseling. The mode of admission was offline. The fee of the program is divided into fee for students who have cleared the cet exam and the management quota students. For the management quota students, the fee is around 1-2 lakhs per year on the other hand for the CET students the fee is around 50-60k. The placement of the college is moderate. The average package is around 3-5 lakhs. Companies like wipro, tcs, ibm visit the campus other than that a few non-tech companies also visited for placement. The hostel is good but they have very strict rules and all the students have to be in the hostel before 8 pm. They should do something about it. The warden is too strict. The food is good and the rooms are spacious. There is no alumni network as it is still new. The seniors have been helpful and there was ragging and any kind of misbehaviour. The seniors are very supportive and help us with assignment and projects. The faculty is very friendly and co-operating some of them are rohit sir, shushma mam, riah ahmed si, rachna mam and more. The best thing bout the faciulty is they are well experienced and understanding. They are knowledgeable about the subjects they teach. Like every other college there are young teachers as well. Most of the teachers have over 10 years teaching experience. The bad thing is the conservative mode of teaching. They follow the bloack board teching over modern methods like projects. The labs of the college are well equipped and the infra is great. The gender ratio of the college is around 1:2 which is good. Regular seminars, guest lectures, orientations and even fests and events are also organized. There are 2 internals of 20 marks each and an external of 60 marks. The difficulty level is average and the exams are held on time. The syllabus is more or less updated. The syllabus for the first two years is not that tough. There are around five subjects in each semester, and each year has two semsters. The final years is comparatively tough with assignments and projects. Yes, the college provides internship. It has tie has tie ups with various companies for internships. Some of them are tcs, tech Mahindra, Infosys, hp etc. The college takes us on industry visits so that students can have the practical knowledge. Yes, the college does provide scholarship to meritorious students. Students can also go for the govt scholarship in case they meet the eligibility criteria. Overall I don’t think any additional or mjor changes are required in the college it good as it is. Our college is clean and Hygiene and greenery. It focuses on extra curricular activities as well and the overall development of the college. No entrance test only class 12th score. Admission done offline and online. Online on the website and offline at the university. I took direct admission in the college. The fee of the college is around Rs 80k per year. I think it is a bit expensive me I thin. As most of the college around charge less than this. The rate of placement is around 80% through some of them choose to go for higher studies as well. The placement packages are around 3-4.5 lakhs depending on the company. I don’t have any idea about the hostel as I was a day scholar. Limited alumni interaction but very supportive seniors. Not much Improvement is not needed as all faculty is very interactive, experienced and highly qualified. There is no bias of any kind between the students. Infrastructure, faculty, library are the things that I love in the campus. Yes, colleagues are very resourceful in the college. Yes, exams held timely and get result on time. 2 terminals conducted of 25 marks each. Yes, from 2nd year only our projects and other things start. We have more excursion so that we can be trained well which is a plus point having such knowledge. Scholarships are given to students with poor background and for the one who claim and have less income certificate. Loans can also be taken. Well, I don't have much idea about it. Our college is clean and Hygiene and greenery. I like the food court of our college as it have variety college faculty are very skilled in teaching. One of the best university in the city where quality education is gained. We didn't have any entrance exam for my course. I scored around 92% in my class 12th and thus was selected directly with a brief interview. The fee for b.com Honors is 80,000 and yeah its a bit costly for this course. But quality of education is excellent. For normal b.com it is less than 80,000. Though i was not staying in the hostel but i had a few friends who were staying and i dont think they had any issues there other wise they would have mentioned that. i dont think they had any issues there other wise they would have mentioned that. Lecturers are highly qualified with Phd degree in commerce field and language Teachers are also good. But they still treat you as a school student. They help you, guide you and motivate you for building up your career. The gender ratio of the college is almost the same but there is a difference in the gender ratio for different courses is different .Extracurricular activities are encouraged and supported. Some of the facilities are the canteen and the library. I found the infra too very good. No, as of now I have never felt it to be stressful. I haven't felt any such stress or tension between I have enjoyed my semester and I'm completely so soon. The results are declared on time which is a good thing. Scholardhips are provided on the basis of class 12th score or semester toppers. I scored 93% in my class 12th and got good scholarships. I don’t exactly remember the amount though. Sorry. One of the best university in Bangalore where quality education is gained. Not only academics, sports and extra curricular activities are also in the TOP. Campus is amazing and is surrounded by green everywhere. On the basis of 12th basis. I opted this university because of family influence. I have fill the offline form in the campus. Average package is Rs. 30000 - 40000 per annum. E & Y, Infosys, IBM, Ola are some of the companies that visited the campus for the placement. I'm a day scholar so I'm not familiar or have any idea about hostel and stuffs. Only thing what ik is the accommodation for hostel is around 96,000 per year. Food is good as I have heard. Many PG's are located close by to the college. Students build stronger connections to the institution by interaction with the alumni. Yes! They stand as our backbone with full support. Lecturers are highly qualified with double degree in commerce field and language Teachers are also good. But they still treat you as a school student. They help you, guide you and motivate you for building up your career. Infrastructure, faculty, library are the things that I love in the campus. Yes, colleagues are very resourceful in the college. extracurricular activities are encouraged and supported. No, as of now I have never felt it to be stressful. In fact it's already October and next month my first semester will get over. I haven't felt any such stress or tension between I have enjoyed my semester and I'm completely so soon.